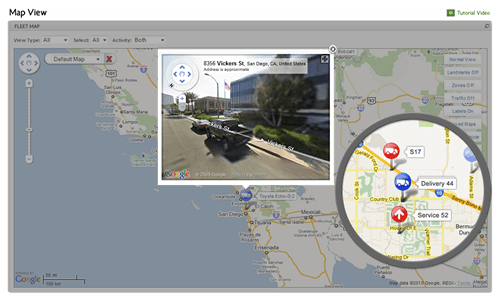 Bringing the ability to track vehicles across the globe from your PC, or even your phone anytime anywhere, Sharpsoft Company offers the best and most comprehensive vehicle tracking solutions. 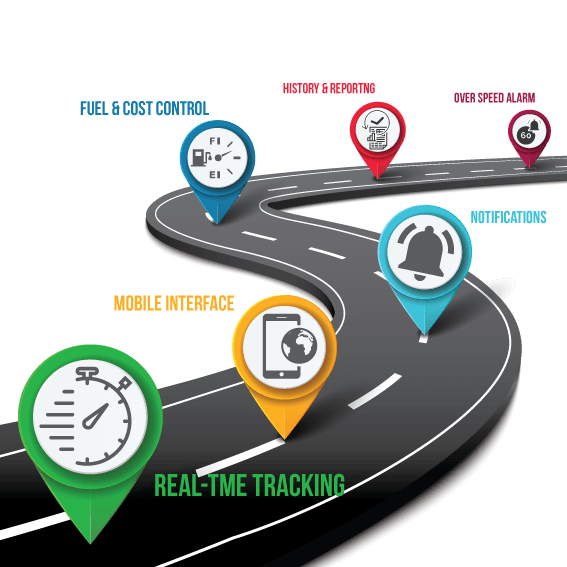 Be it for a commercial fleet, a bus or a transport and logistics company, vehicle tracking is an efficiency, increased profitability and safety-centric benefit to add to anything on the road. 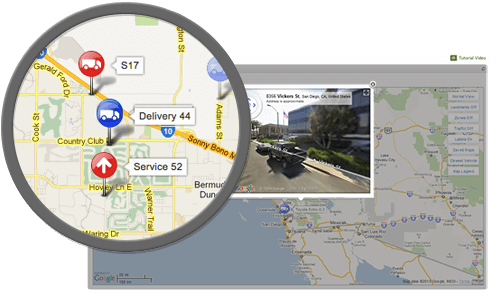 You can be sure that you will get the best price and quality of GPS service with us. 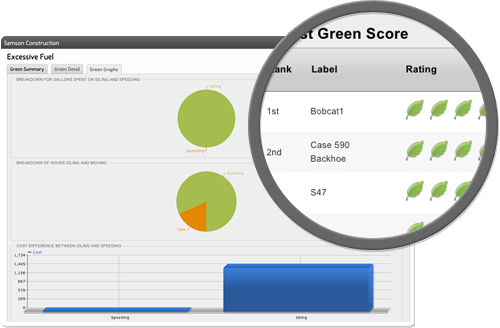 Stay on top of the locations and statuses of all of your field technicians with real-time tracking. 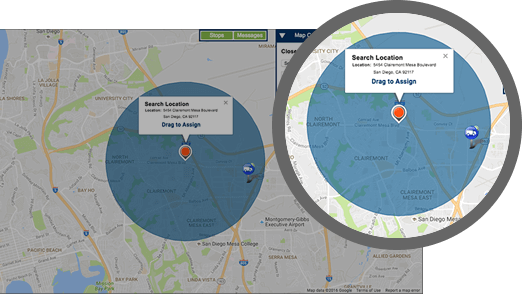 You can determine each tech’s distance from your jobs in order to make better dispatch decisions. Use our optional dispatching features to send jobs to your technicians. View your techs’ status in real-time as they complete their jobs and update their routes as your work changes throughout the day. We have multiple tools that allow you to better supervise your drivers’ activities. 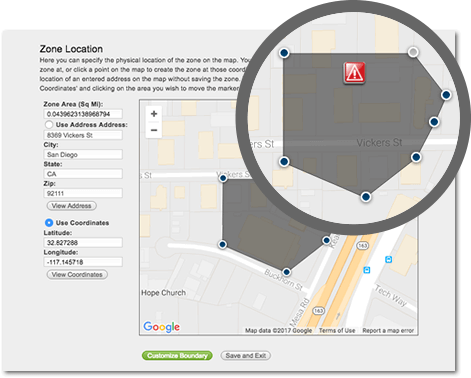 You can use FieldLogix to monitor where your employees are, where they have been, what they did, and when they did it. According to a study conducted by Aberdeen, utilizing GPS technology leads to a 23% increase in completed service calls. Our system is very unique because it gives you the ability to send your waiting clients ETA’s and collect feedback on their level of satisfaction with your service. When employees are violating your work policies, it can lead to financial and general liability as well as damage to your reputation with your stakeholders. Our GPS fleet tracking system for municipalities will record any un-permitted use of your vehicles to help improve overall accountability. Use our GPS fleet management solution to monitor unsafe driver behavior. FieldLogix will provide you with reports and alerts that can help you reduce your organization’s legal liability and ensure that your drivers comply with your organization’s safety policies. Our government fleet management system helps you reduce vehicle emissions by monitoring poor driving habits that consume excessive fuel. You can use this information to coach or take corrective action to ensure that your employees comply with your requirements. Our vehicle vitals report provides you with critical information to ensure that your vehicles remain on the road and downtime is minimal. You can also proactively schedule unlimited maintenance reminders for all of your service requirements. Wasteful behaviors can easily run up your fuel bill. This includes excessive idling, speeding, personal vehicle use, and more. A study by the EPA found that the average fleet vehicle wastes up to 800 gallons of fuel annually by idling alone. We can help you catch and correct these poor habits before they cut into your bottom line. Projects can quickly go over-budget when crews arrive to job sites late, take extended lunch breaks and leave early. According to a 2010 Forbes article, up to 40% of a construction worker’s labor hours are unproductive. We can help help you recoup this wasted time. It is no secret that some employees abuse the privilege of taking vehicles home by using them for side jobs, personal errands, and other activities. When this occurs, not only is this a legal liability for your organization, but it also wastes your fuel, causes excessive wear and tear on your vehicles, and takes money out of your pocket. We can help you eliminate personal use of your company’s vehicles. Chances are that your drivers put tens of thousands of miles on each of your vehicles annually. As you know, improperly maintained vehicles can costs you thousands of dollars in unnecessary repairs. We can alert you when your vehicles are due for service and provide a report of your vehicles’ health. According to the National Insurance Crime Bureau, over $1 Billion dollars worth of equipment is stolen annually. This is often due to thieves accessing job sites after work hours and on the weekends. Without proper theft prevention, it isn’t difficult for thieves to remove a piece of equipment off of a job site, load it in a shipping container and sell it halfway across the world. We help you secure your equipment by monitoring unauthorized activity. Customer service can be negatively impacted when drivers have little to no accountability with regards to stop arrival and departure times. Late arrivals & pickups can lead to lost revenue and violate performance contracts. 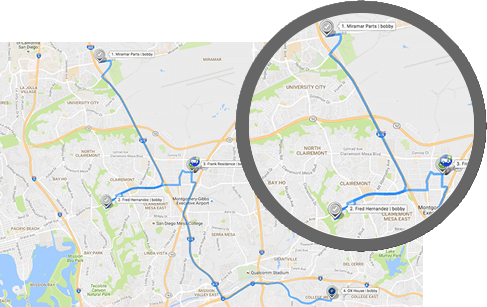 With our real-time GPS tracking system, we can help ensure that your drivers stick to your prescribed route schedules. Building routes manually is very time consuming and often very inaccurate. Poor routing leads to wasted fuel, late arrival times, and unhappy passengers. 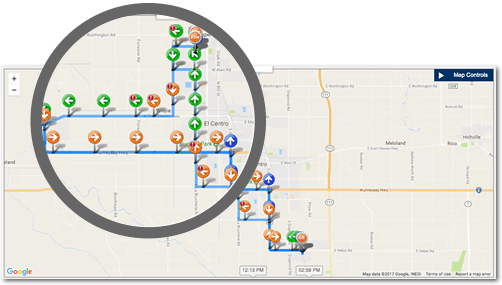 With FieldLogix, you can build optimal routes for your drivers and watch your drivers as they complete them. Companies like Uber understand that it is extremely important to focus on the client’s experience in order to keep them loyal. In order to remain competitive in today’s environment, it is critical to provide an experience that meets your clients’ expectations. 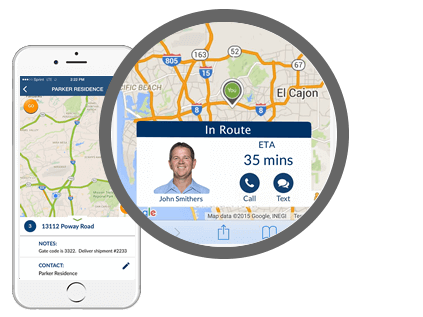 Our Goose mobile dispatching app allows your drivers to alert your waiting customers when they are in route to their locations. We also collect feedback on the drivers’s performance. Driving a vehicle full of passengers is a huge liability for any organization. According to the Department of Transportation, each year over 48,000 busses are involved in crashes which cause millions of dollars in property damage. By closely monitoring how your vehicles are being driven, we can help you reduce this liability dramatically. Keeping your vehicles on the road is critical to ensure that you don’t experience vehicle downtime that could negatively impact your customers’ experience. 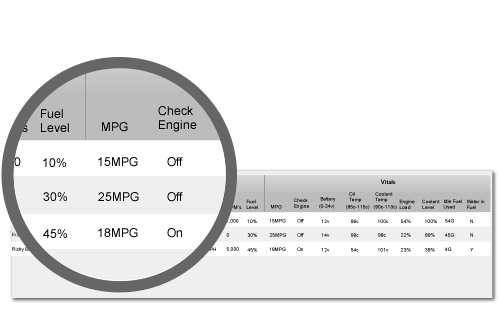 We can help you keep tabs on your vehicle’s maintenance needs with proactive alerts and vehicle health monitoring. Fuel is likely one of your top 3 expenses. Since your trucks are traveling hundreds of thousands of miles each year, simple changes to how you manage your trucks can cut your fuel expenses dramatically. As with most trucking companies, you likely have tight itineraries and need to know where your vehicles are at all times. Our truck tracking system shows you were your trucks are every few minutes as they travel. Inefficient routing can lead to wasted fuel, wasted time, and unhappy clients. Rather than relying on paper maps or your dispatcher’s knowledge of geography, FieldLogix can help you make sophisticate and cost efficient routing decisions. According to the FMCSA, 73 percent of all accidents that cause fatalities involve large trucks. Excessive speeding and aggressive driving leads to accidents that present a tremendous liability for any trucking company. We help you catch and eliminate unsafe driving behaviors as they occur. Since your trucks put so many miles on the road, proper maintenance is key to avoid vehicle downtime and ensure the longevity of your vehicles. We can help you monitor the health of your trucks and alert you when they are due for maintenance. Vehicle and cargo theft is one of the biggest challenges facing the trucking industry. According to the FBI, cargo theft costs US trucking companies over $30 Billion per year. With FieldLogix, you can quickly recover your stolen vehicles before the thieves have time to unload your cargo. As competitive as your industry is, it is critical to be able to determine which drivers are available for new calls immediately. Our best-in-class system will give you that instant visibility needed to keep your response times low. Getting to your jobs quicker brings in more revenue and keeps your customers happy. This is as true for on-demand service calls as it is for your contracts. Use Goose to dispatch your closest trucks to new calls & improve your response times. As you know, your customers’ expectations are starting to change due to services like Uber. Maintain a competitive edge by sending them ETA’s and capture their feedback with the Goose mobile application. With our unique features, you will increase revenue and retain more customers. Know where your driver are, what they are doing, and what is being towed. Eliminate side jobs, route deviations, and unnecessary downtime. Our detailed reports give you insight into all of your drivers’ daily activities. How your drivers operate your vehicles could also put business in jeopardy. We can help you identify risky behaviors so you can take corrective action before a driver causes a large legal and financial burden for you. Our driver monitoring features help ensure that your vehicles are driven safely and your drivers are held accountable for their actions.